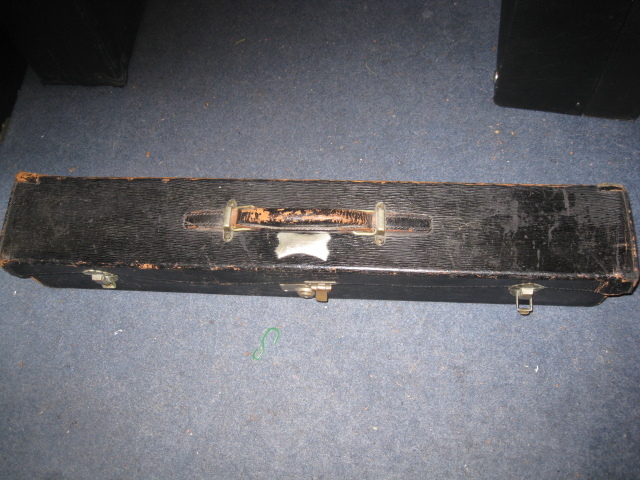 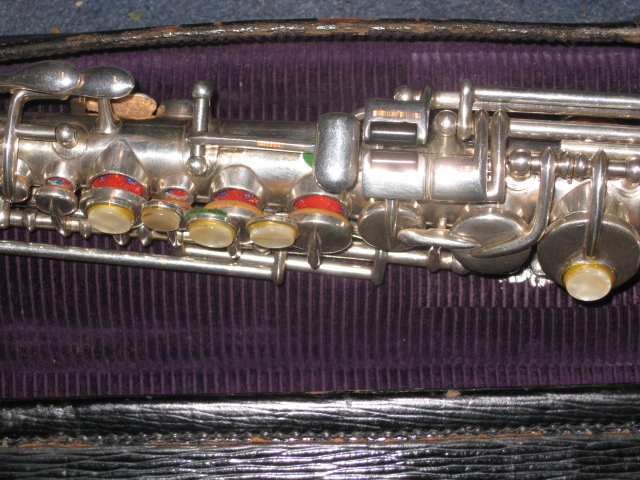 I acquired this unusual saxophone from Johnny Roadhouse in Manchester. 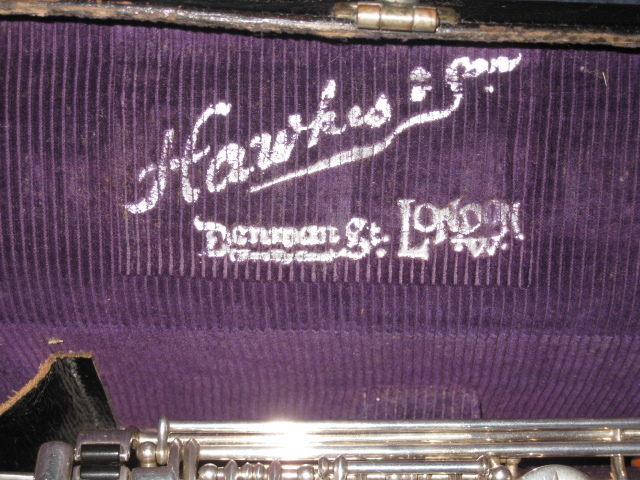 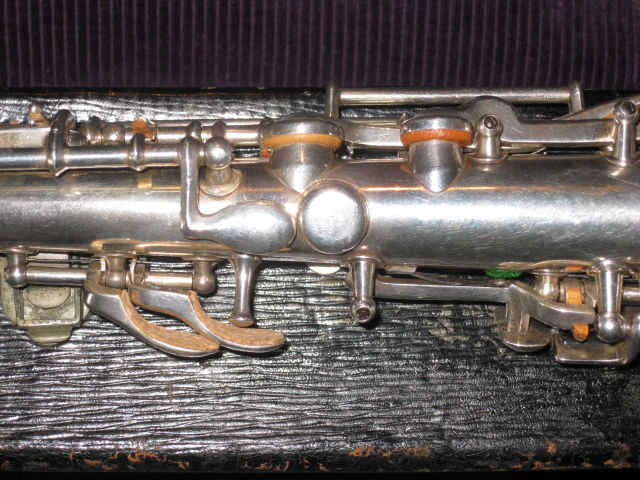 Having looked at all of their vintage instruments on the wall, I eventually turned to look at this one which was standing on the top of the counter. 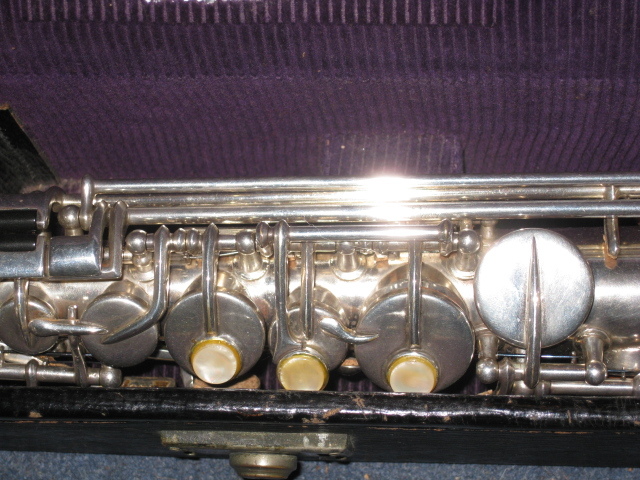 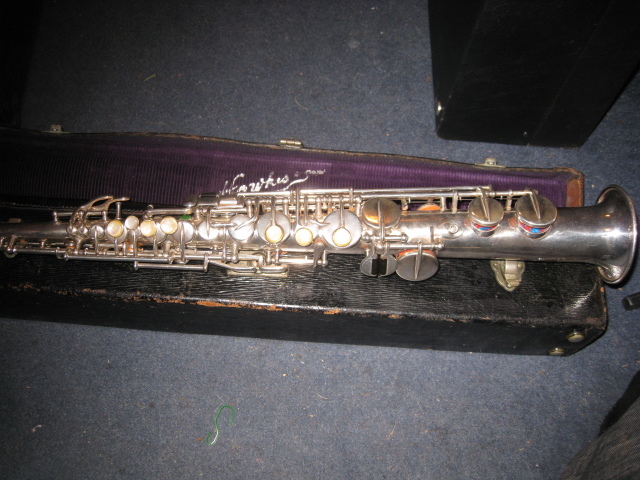 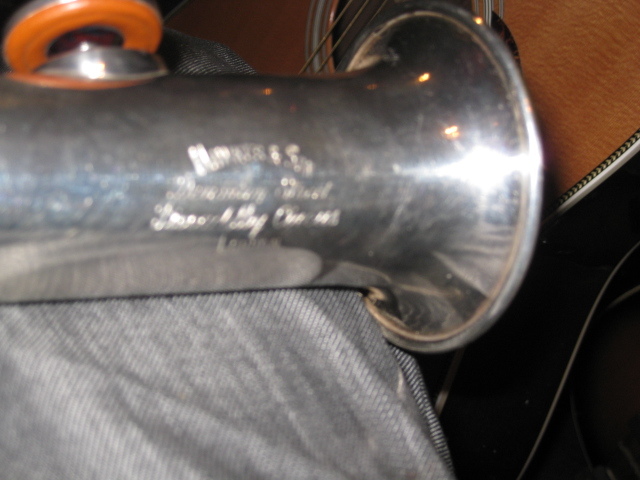 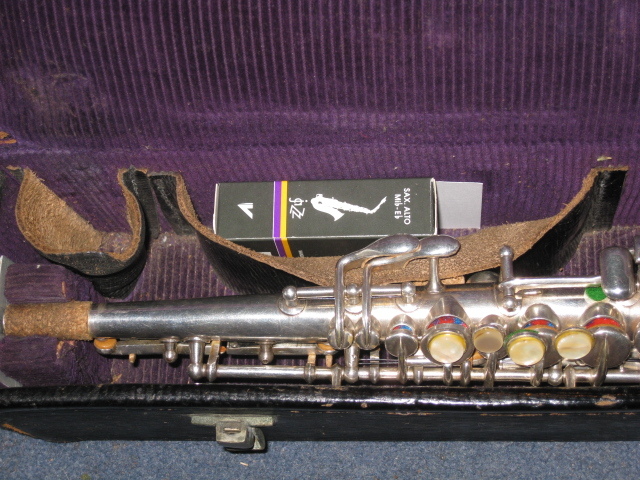 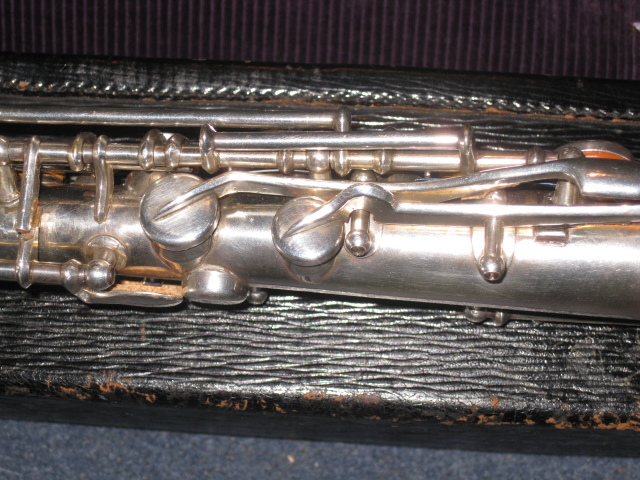 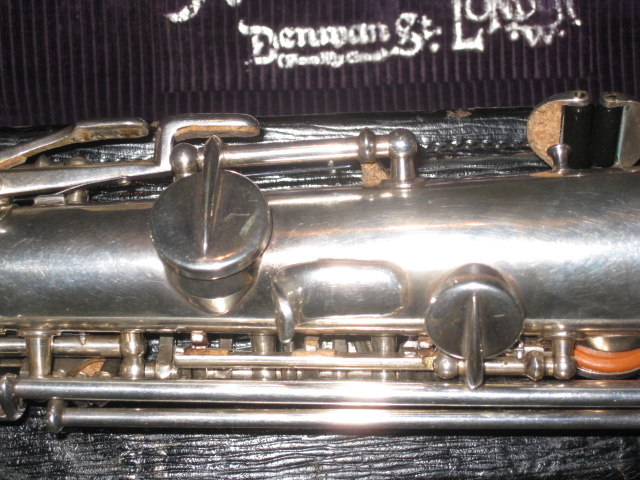 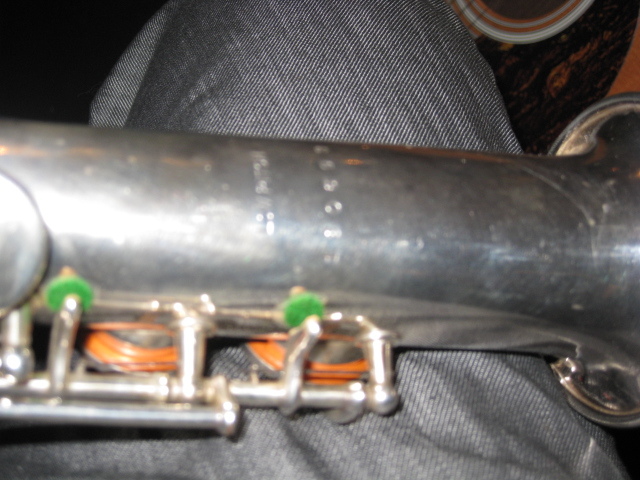 I already had a couple of C Melody saxes, but had never seen a C Soprano. 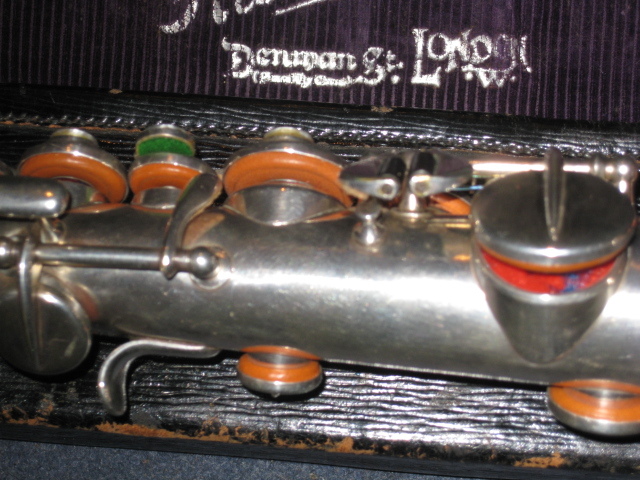 I also liked the idea of having a good English make in my collection.